Lan Su Chinese Garden and PDX Jazz present Jazz in the Garden, a summer music series held in the early evening splendor of Portland's most intimate venue. Featuring six concerts Tuesday evenings July 16 through August 20, the series includes local, national and international artists. Come enjoy this amazing selection of artists and musical stylings from the following artists: the Mali-based BKO Quintet, local musicians Mike Horsfall & Tjaderade, Hailey Niswanger as she presents her new group MAE.SUN, China Moses, Connie Han, and the Bobby Torres Ensemble as he remembers performing at Woodstock with Joe Cocker "with a little help from his friends". Series Pass holders receive early entry into the show to secure the best seats! Doors for series pass holders open at 6:30 p.m. Door for non-series pass holders open at 6:45 p.m. Will Call opens at 5:30 p.m. Please note that on the evenings of the event, Lan Su Chinese Garden will close early at 6 p.m. Seating is general admission. Limited seating is provided on garden folding chairs as well as open seating on the stone railings along the Zig Zag Bridge. Pillow cushions will be available for those seated on the stone railings. A no-host bar with wine, beer, soda and mineral water will also be available. The Teahouse will be open during the concerts serving food, wine & tea (first come, first served; no reservations). Event will go on as scheduled rain, shine or heat. No outside food, beverages, or chairs allowed. No exchanges or refunds. You may donate your ticket(s) back to Lan Su Chinese Garden if you are unable to use them. You will receive a receipt as a tax-deductible contribution for the face-value paid for the ticket(s) (does not include processing fees). All donated tickets, along with your name and address, must be received by in the mail, at the Garden Shop no later than one (1) hour prior to event opening. An acknowledgment letter for the value of your donation will be mailed to you. 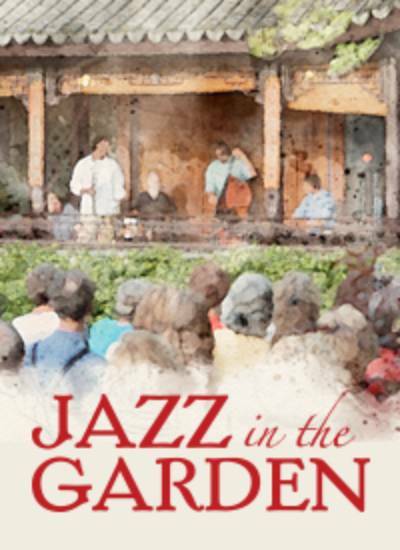 The only authorized sales venues for tickets are our website (www.lansugarden.org utilizing Box Office Tickets), by phone at 503.228.8131 and in our physical Garden Shop. Any other re-sale ticket purchases made are strictly at your own risk and may not be honored.